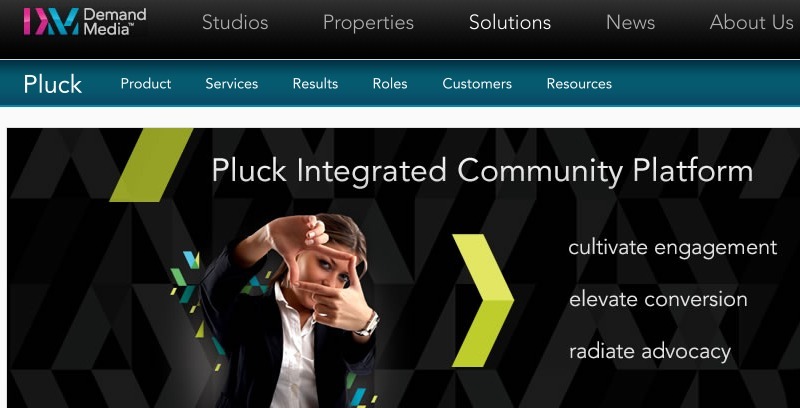 Content company Demand Media has announced a “major extension” of the integrated community platform Pluck, called Pluck 5. In a press release, the content company boasts upgraded Pluck features that promise “number of new and improved capabilities that enable brands to foster customer engagement, facilitate customer advocacy and accelerate conversion, all while producing significant customer, product and market insights,” and the firm details the changes to the program’s social capabilities. Pluck 5 was not given a hard and fast release date, but it is expected early in the quarter.